Police officers in Quebec City used tear gas on protesters and yelled at the crowd to disperse after declaring the gathering illegal just before 7 p.m.
More than 200 people gathered outside the National Assembly Tuesday evening, hours after the Liberal government tabled its budget containing belt-tightening measures. Hundreds gathered in front of the National Assembly to protest against the Couillard government's budget, which was tabled late this afternoon. 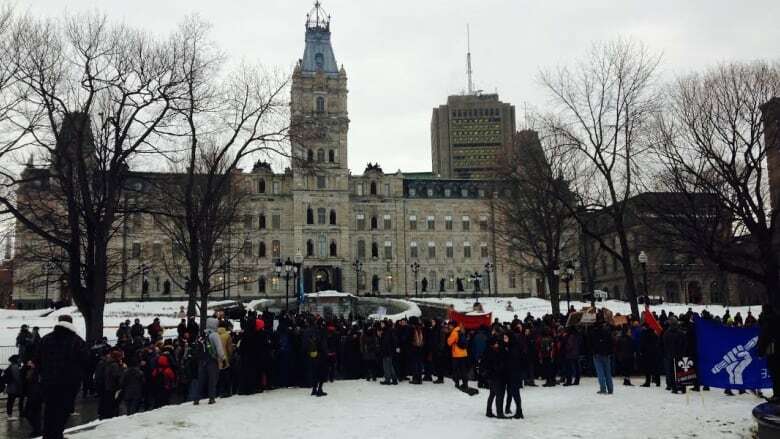 The student association ASSÉ said eight buses filled with students have travelled from Montreal for the demonstration. ASSÉ spokesperson Camille Godbout said the Liberals have made several cuts to the education sector since taking power in 2014. “In the CEGEP, for example in Drummondville, the library hours were cut in half. Also services like psychology and having access to health services on campus. These are all the services that are being cut right now and this is just going to get worse in the next few years." The Quebec budget, tabled late this afternoon by Finance Minister Carlos Leitao, has some aggressive belt-tightening measures in some of the government's largest departments namely health, social services and education. Education will see an increase of only 0.2 per cent, which, after inflation is factored in, essentially amounts to a cut. 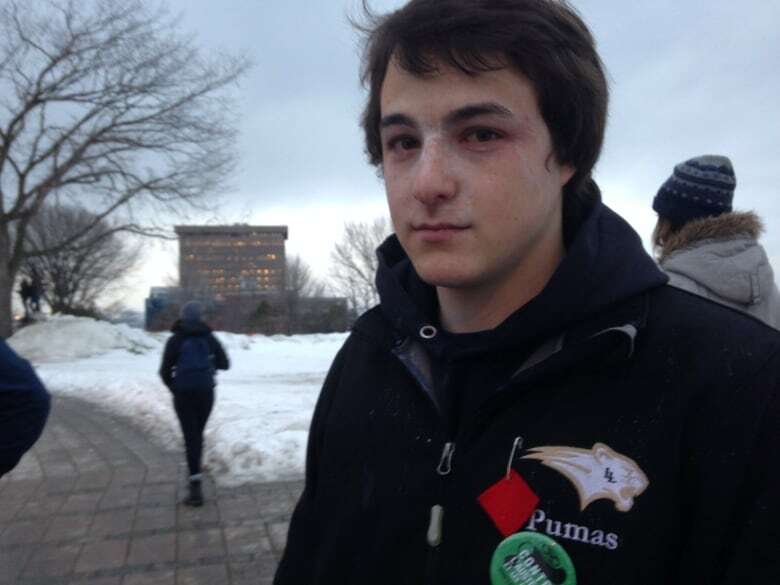 Godbout says students are protesting to demanding the province put back money into public services. ASSÉ did not give an itinerary to police for tonight's gathering, which violates a Quebec City bylaw that requires organizers to do so in order for a demonstration to be considered legal. 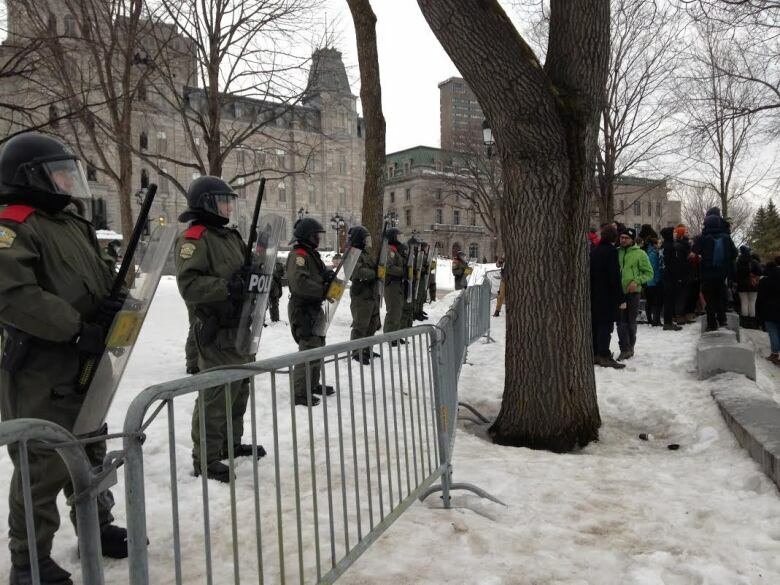 Earlier this week, 247 people were arrested in Quebec City during an anti-austerity march.